With Harmony, you can animate layers using computer-generated trajectories, create multiplane camera moves and camera shakes, adjust the easing, shape your paths with control points and much more. Before animating the position of your layers, you need to create motion paths which are trajectories on which you can attach drawing objects. Using keyframes, you can then record key positions along the trajectory. 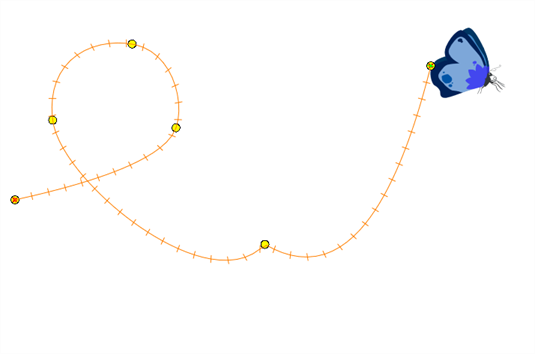 There are two ways to create motion paths: animated drawing layers and pegs. They each have different purposes.